The art of violin-making has its centuries-long history rooted firmly in Cremona, Italy; the small Italian city is a UNESCO World Heritage Site and the Holy Grail of building string instruments, including violins, violas, cellos and mandolins. But for one American violin-maker who trained and lived in Cremona for 14 years, Pacific Palisades also holds a very special significance to her musical career. 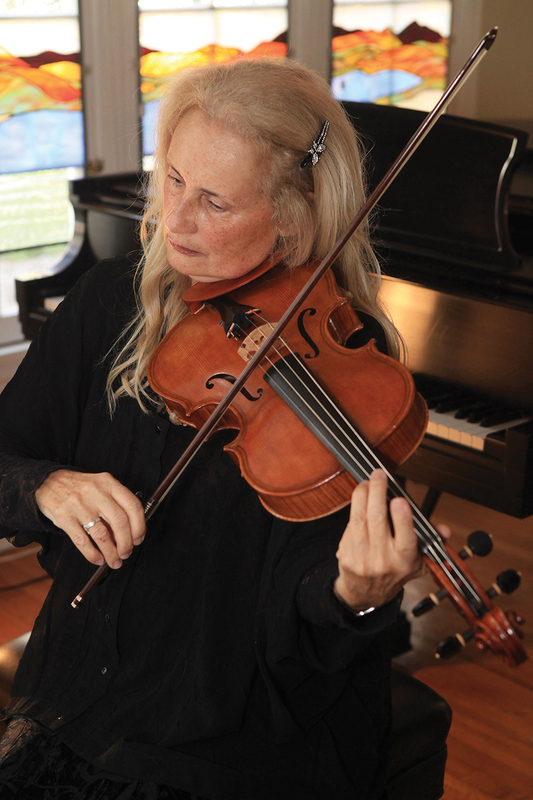 Rebecca Rodman, acclaimed violinist, violist, builder of instruments and founder of the Fondazione Maestro, began her prolific musical career at the University of California, Los Angeles in 1967, where she earned a degree in music, specifically violin performance. After graduating, Rebecca began teaching violin. She moved to Pacific Palisades in 1974 and quickly became concertmaster for the Palisades Symphony, while also playing in the Santa Barbara Symphony, Pasadena Symphony and Hollywood Bowl Symphony. Rebecca Rodman has mastered the art of violin making. By 1999, the talented musician and teacher found that what she truly wanted to do was to build the instruments she so loved to play. While Pacific Palisades had proved to be a nurturing community in which to live, flourish, and play music for Rebecca, the obvious location for her new undertaking was Cremona, Italy. “Cremona is known for craftsmen who make violins, violas, cellos, string instruments, and bows, mandolin, everything. I knew quite a bit about the making of an instrument from having taken my instruments to violin shops where I was located, and seeing their workshops, and I just thought it was such a cool thing to be doing,” Rebecca explains. This Italian city, so rich with the history of the famed violin-making family dynasties of Amati, Stradivari and Guarneri, had drawn Rebecca to it, like many other aspiring violin-makers across centuries. In Cremona, Rebecca found a willing teacher; an Australian woman named Lyn Hungerford who had more than 20 years of experience in violin-building and a desire to pass her trade onto a worthy apprentice. Currently Rebecca Rodman lives and works in the Puget Sound area but is planning to move back to Pacific Palisades, her “North Star,” to be closer to her family, continue building and playing instruments as well as working on the Fondazione Maestro, and perhaps seek an apprentice of her own to join her on the workbench. Her son, daughter-in-law and granddaughter live in the Palisades.